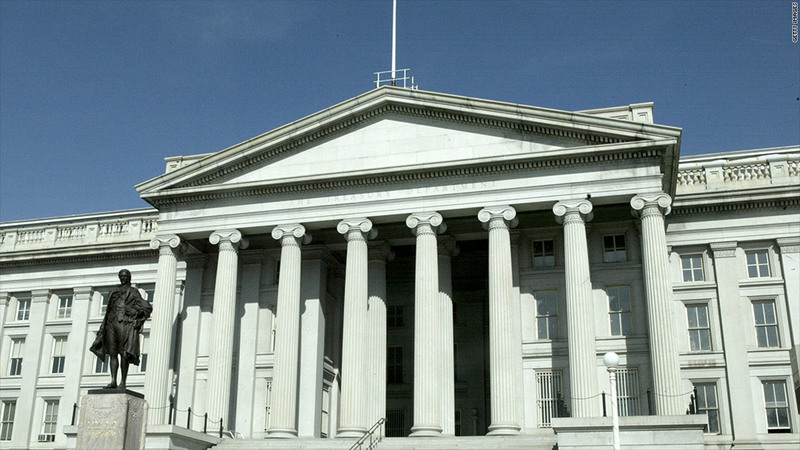 The Treasury Department established several investment funds in 2009 with the goal of reviving the market for mortgage bonds in the aftermath of the financial crisis. A former trader and managing director at the investment bank Jefferies & Co. was arrested Monday after being charged with defrauding investors and the government in the sale of mortgage-backed securities. Jesse Litvak, 38, is accused of inflating the cost of mortgage bonds when brokering sales by quoting a higher price to buyers than the sellers were actually seeking -- or vice versa -- and pocketing the difference for Jefferies (JEF). In other cases, Litvak allegedly told buyers that bonds held by Jefferies were being offered by fictitious third-party sellers, allowing him to charge extra for the transactions, federal officials said. Among the buyers Litvak is accused of defrauding are several investment funds established by the Treasury Department in 2009 with the goal of reviving the market for mortgage bonds in the aftermath of the financial crisis. All told, Litvak is accused of defrauding the government and investors of more than $2 million. Litvak, who has pleaded not guilty, faces 11 counts of securities fraud --which carry a maximum prison term of 20 years each -- and one count of TARP fraud, among other charges. He faces a parallel civil case from the Securities and Exchange Commission. Litvak's lawyer, Patrick Smith, said his client "did not cheat anyone out of a dime." "Every Jefferies counter-party in each transaction in this indictment got the exact bond bargained for at a price each wanted to pay," Smith said in an e-mail. "Jesse looks forward to the trial in this case so that his name can be cleared and he can get on with his career." A spokesman for Jefferies did not immediately respond to requests for comment. Industry records show that Jefferies terminated Litvak in December of 2011 after allegations that he "was not forthright with a customer" in a trade. The charges were filed in conjunction with President Obama's Residential Mortgage-Backed Securities Working Group, a joint federal-and-state effort announced last year to investigate wrongdoing in the mortgage-bond market that contributed to the financial crisis. Litvak's alleged offenses occurred after the peak of the crisis, however, between 2009 and 2011, and are not related to the packaging of bad mortgages into securities thought to have contributed to the meltdown. Federal officials have faced persistent criticism in the past few years regarding the lack of criminal cases against Wall Street executives over the industry's role in the crisis.